Can you draw in the style of The Explorers Guild? Are you an already established or up-and-coming comics professional? Can you produce superlative work on deadline without fuss? If so, we might just be looking for you to work with us on future projects. To find out, join Rick at the San Diego Comic-Con for two days only, as he conducts a talent search for comics pencilers and inkers. The Portfolio Area of Sails Pavilion at the San Diego Convention Center (consult your SDCC Events Guide for directions). 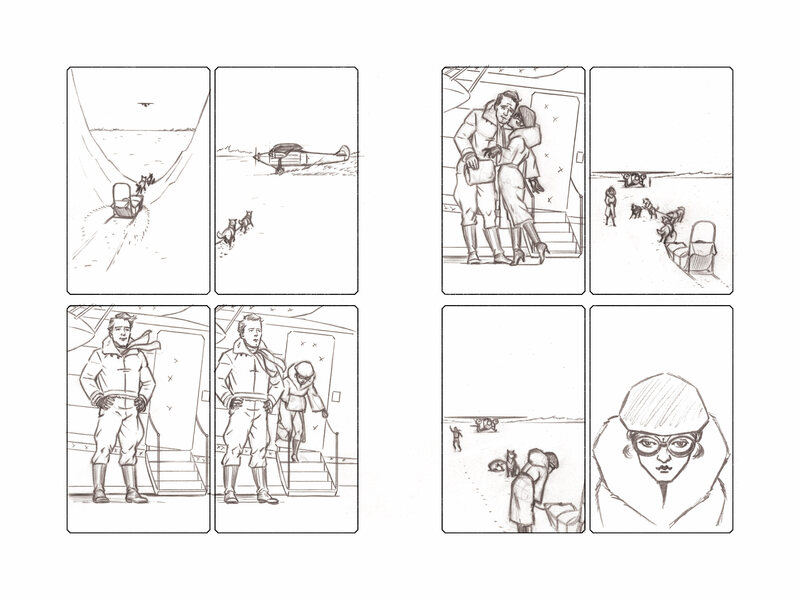 Pencilers should bring penciled pages that display a command of sequential storytelling, a mastery of figure drawing, and, ideally, the ability to work comfortably in the style of The Explorers Guild. 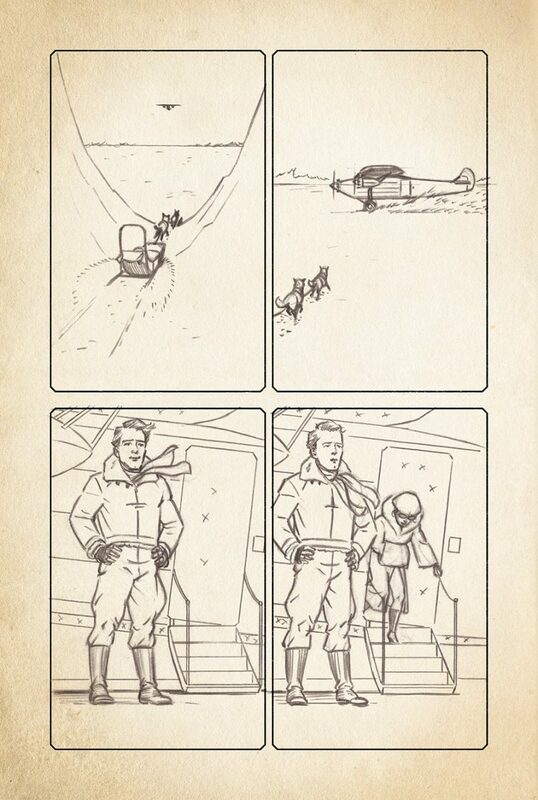 A sample page of pencils from The Explorers Guild can be seen here for reference. Inkers should bring inked pages, preferably done with traditional dip pens, that display an understanding of figure drawing and a command of line and its use in creating form. An original page of pencils in blueline form from The Explorers Guild can be downloaded here if you wish to have a template to ink over. Consult the San Diego Comic-Con Portfoiio Review procedures here. Thanks to everyone who came out! But the search continues… For more information, please see our Submissions page here. How did I go about creating the art for The Explorers Guild? I’ve been asked this question many times, and it got me thinking: Maybe there was a way to actually demonstrate the process I used on The Explorers Guild. 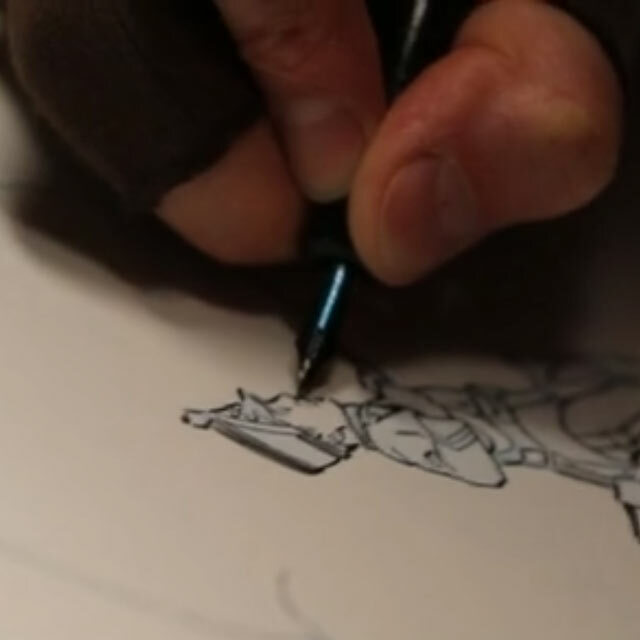 So I consulted with Mark Gillard of Black Shirt Creative, and we decided to film an entire day of my inking a page from the book, start to finish. Mark and his buddy, Gary Rifat, expertly filmed the whole enterprise. Then they cut it together and condensed the entire four hour process into a compact 3:17. I added a bit of narration to explain my working process, and voila: A video journey explaining how I ink a page of the The Explorers Guild. Sign up for blog updates and other cool stuff.